Product prices and availability are accurate as of 2019-04-13 12:41:40 EDT and are subject to change. Any price and availability information displayed on http://www.amazon.com/ at the time of purchase will apply to the purchase of this product. Attaches to cap for the most practial, hands-free light source available. This LED cap light is good design for biking, jogging (use the flashing mode), camping, hiking and anytime you need bright illumination. 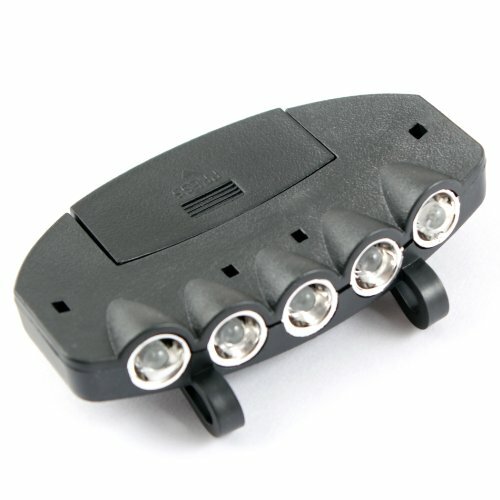 2 modes: 5 LED light, 5 LED flash. 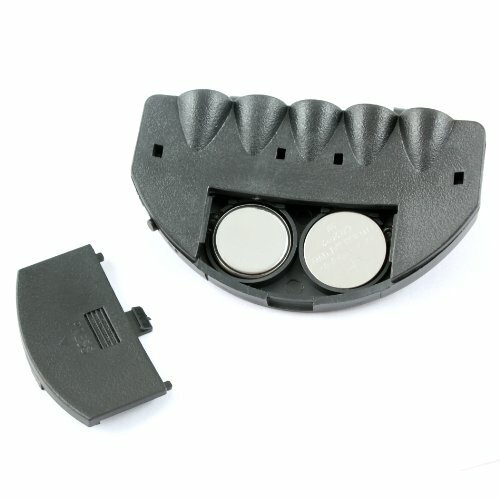 Power supply: 2* CR2032 cell batteries ( included). 5 Ultra bright LEDS. The life of LED is more then 10,000 hours. Color: black Dimension: 3.2"*2.3"*0.8"